“I have not witnessed such sensibility between a prospective in-law and a prospective boy in Bollywood before. Not even in DDLJ,” writes Neha Sureka. That twilight-years-pregnancy and resultant sibling-age-differences. I had smirked upon the central plot of Baadhai Ho (Amit Ravindrenath Sharma, 2018), resonating it with a much older generation, and irrelevant for today’s time. Yet I watched the film, and liked it enough to watch it again. There was something about the movie which got me hooked on. I wondered what? Was it that authentic rendition of a service class, three-generations-living-together family that took me back to my adolescent years when my granny joined us, and I became an amused-observer to that constant saas-bahu banter, while my father seesawed between the two. Or the day-to-day relatable humour which cleverly draped the awkward plot. Or the well-etched characters shaped with immense depth and human-insight. Or was it the tight story flow with freak-out reactions to the uncalled-for pregnancy in the first half, and its liberating acceptance in the second half. But my soft-corner for the movie lies in its sensitive portrayal of relationships with immense depth, be it within the family or outside. Husband and wife, mother and son, father and son, between brothers and the evergreen saas-bahu love-hate relationship, every relationship is curated with perfection with evident dialogues and sometimes with very subtle nuances. While every relationship was unique, but the equation which sketched in mind vividly was between middle-class-value raised Nakul (Ayushmann Khurana) and his girlfriend’s not-so-approving, wine-twirling-intellectual, upper-echelon mother. And their defining scene was when Nakul visits her to invite for the godbharai, and in the pretext also apologise for his previous outburst on her. Not because he regretted what he had affirmed about his family in the outburst, but because he regretted his improper tonality towards a senior person which resulted into letting-down his girlfriend. The girl who had been trying hard to create an impression of him in front of her mother. Nakul sounded confident and matured despite the stern non-reactive look thrown by the girlfriend’s mother. His monologue in such an awkward situation had immense sensibility, that I was completely immersed into it with many thoughts. Though the girlfriend’s mother appeared stern but she was definitely moved from within, at the boys gesture. The boy who while handing over the invitation card and seeking her forgiveness by attending the ceremony, in a way also handed over a quandary to her. To intimate or not to intimate her daughter about his visit. To give in or not give in to her Daughter’s Happiness. To Accept or not accept the differences between her affluent-intellectual status and the boy’s less-ordinary family. Even though this equation was not the central part of the movie, yet the treatment rendered towards it indicates, how all the other important relationships must have been handled. I have not witnessed such sensibility between a prospective in-law and a prospective boy in Bollywood before. Not even in DDLJ’s Babuji and Raj, which in-fact was the central point of that movie. 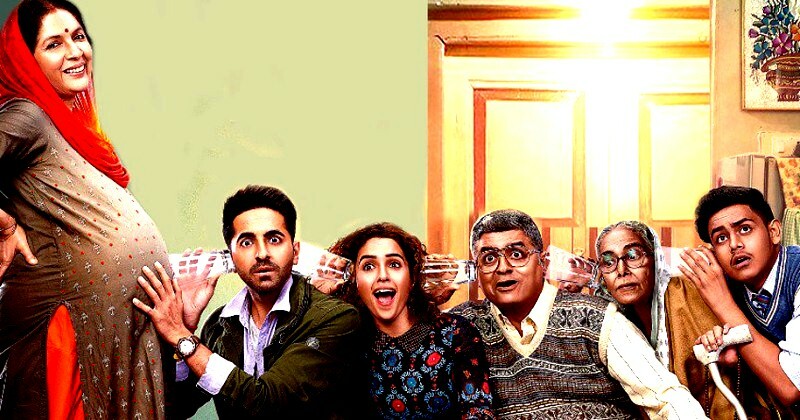 Not so much for the plot, but for the layers of human psyche and nuances of complex-relationships weaved by Amit Sharma and the writers, Badhaai Ho is worthy of praise. Watching the film transformed my preconceived notions about the cliches most similar films fall into. Finally the movie got me thinking as to what must have gone through the mother’s mind to finally give her consent for the marriage. It must have been a storm within her. Perhaps she realised that, irrespective of social or economic status, when life hits hard, everyone utters the same cuss words. Just like when upbeat Punjabi beats enter the blood stream, everyone forgets the class and dance away with the typical moves! Neha Sureka is a Bengaluru-based poet, writer, and blogger. She blogs at nehadaydreams.blogspot.com.